Children use their Bible Dictionaries to write definitions of Bible words from their lessons. They can also illustrate the words to help them remember the definitions. The printable patterns for the dictionary cover and pages are available to members on The Resource Room. Patterns are also available for 13 oz. Box sizes. A complete set of labels is available to members on The Resource Room. Break your children up into teams of two or three and have the teams take turns stacking the boxes in order. Give them a certain amount of time to stack. Mix up the boxes after each team takes a turn. The team that stacks the most boxes in the correct order wins. Break up your children into teams of two or three and have the teams take turns stacking the boxes in order. Have the other children count the boxes as the team works. The team members may not touch any of the boxes they already stack to straighten they out. If any of the boxes fall off the stack the game is over and another team gets to try. The team that stacks the most boxes wins. Break up your children into teams. Place the mixed up boxes and one team at one end of the room. Have the teams take turns picking up boxes racing to the other end of the room and placing them in order. Time how long it takes each team to complete the task. The team that completes it the fastest wins. Or you can play using the whole class as one team. Time them to see how long it takes. Have them repeat the game to see if they can beat their time. 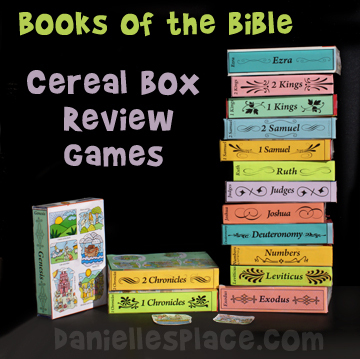 Break your children into teams and give each team five boxes and ten or more Bible pictures that goes with each book of the Bible. See which team can place the pictures in the correct boxes in the shortest amount of time. Let them use their Bibles to find out where they should place the pictures. 5. Which Book is Missing? Pick five to ten consecutive books of the Bible and display them in front of the class. Pick one child to remove one of the books (Boxes) while the other children close their eyes or turn around. Have the children all turn around at the same time and see who can discover which book is missing first. The child who answers correctly first gets to take a turn and remove a book. These boxes can also be used as a visual when you teach your lessons. Display all the boxes in the front of your room, and have your children find which book of the Bible your lesson comes from each week. Have them open the box and remove any Bible story pictures or items that also go with that book of the Bible and see if they can identify the stories you have already covered in previous weeks. You can also have them place other things in the boxes that relate to the story such as toys, completed crafts, and pictures they have drawn. ©2012, Digital by Design, Inc. -*See Copyright Information - Bloggers, if you use this craft idea or an adaptation, and link back to this page for the complete directions, let us know and we will put a link to your blog. Children can use permanent markers, pens, or colored pencils to write the Bible verse on the sticks and then decorate them. They can also draw a picture on the back of the sticks that represent the Bible verse or the Bible story. These folding craft stick canvases can also be used for other purposes. You can also be used to make greeting cards for Mother's Day, Father's Day or Birthdays. The sticks can be reused by just pulling off the tape and placing new tape over the sticks. 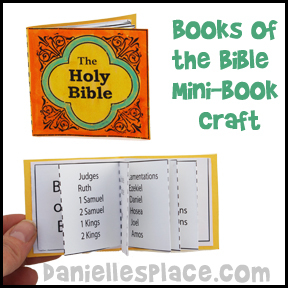 This is a great craft for older children who are learning the books of the Bible. The mini books can be stored in a pocket or backpack and taken wherever the child goes. The only supplies needed are card stock (Heavy paper), regular printer paper, colored pencils, and highlighter markers. The pattern for this craft is available to members on The Resource Room. Use these leaf patterns as a review game and bulletin board display. 1. Before class print out the leaf shapes and write one book of the Bible on each leaf. Make enough sets so that every two children have a set. Print out the bulletin board words, cut them apart and tape them to the bulletin board. 2. In class tell your children that on the word "go" they are to find the books of the Bible in order and place them in a pile. The team to finish first wins. You can let them look in their Bibles if they need help. When all the teams are finished have them staple the leaves in order from the top of the bulletin board to the bottom. Have the words "The Books of the Bible are Falling into Place" written at the top. 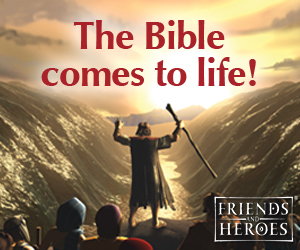 This games goes with the Bible Lesson "The Holy Bible". You will find a complete lesson, with crafts, worksheets, and review games on The Resource Room. 1. Before class print out the color-coded books of the bible cards and cut them apart. 2. 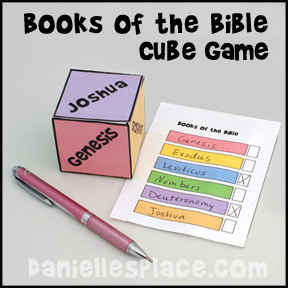 Print out the books of the bible cube pattern, Genesis - Joshua, cut it out, fold up on all the lines and glue it together on the side tabs. Free Digital Download - The first five books are free. Patterns for all the books of the Bible are available on The Resource Room. 3. Have your children write each book of the Bible in order on their cards. If you have younger children write the words on the cards before class. The words in the colored boxes should match the colors on the cube. 4. In class have your children take turns throwing the cube. If the cube shows the first book of the Bible, they can mark that book off on their cards. If not, they must try again on their next turn. The children can only mark off the books in order. (If you have younger children, you can have them mark off the books in any order.) The child who marks off all their books in order first wins. If the cube lands so it shows a book that is not the next in order, (or has already been marked off) the child loses his turn and must try again next time. Before class write the books of the Bible you are studying on a large poster board. Color code the books. Make up cards that match the poster. For example, if Genesis is on a red square, make a red card with Genesis written on it. Make a set of cards for each team. Have the teams take turns throwing a beanbag onto the poster board that is placed on the ground. If the beanbag lands on a square with a book of the Bible that that team doesn’t already have the child who tossed the beanbag gets to pick up the matching card for their team and place the card in order. The team that gets all the cards in order first wins. Children can use permanent markers, pens, or colored pencils to write the Bible verse on the sticks and then decorate them. They can also draw a picture on the back of the sticks that represents the Bible verse or the Bible story. ©2012, Digital by Design, Inc. -*See Copyright Information-- Bloggers, if you use this craft idea or an adaptation, and link back to this page for the complete directions, let us know and we will put a link to your blog. 2. Cut out the patterns, score the fold lines with a sharp object and then fold the sides. Glue them closed. 3. In class have your children stick stickers or glue decorative items onto the box. 4. You may also want to glue magnets to the back of the box so that the boxes can be stored on a refrigerator. All the Bible verse cards on The Resource Room come with small tabs with pictures that can be glued along the top edges of the cards as shown in the picture above. 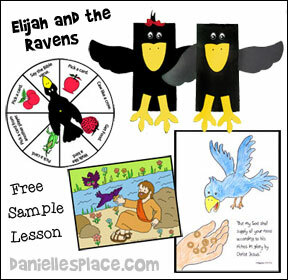 Children can use the pictures on the tabs to see if they remember the Bible verse that goes along with that picture, then they can pull out the whole card to see if the remembered correctly. Cool-Whip or other dairy whipped topping container lids, Pre-printed or pre-made easy-to-learn Bible verses or pictures about the focus Bible story for the lesson (Pictures from magazines, old Christmas cards, Valentines or greeting cards could also be used- depending on the theme), Stickers, Craft glue, Paint markers (washable or permanent - depending on the age). 1. 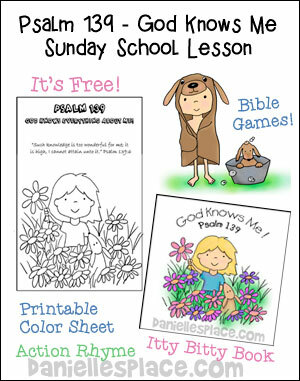 Before class print out the Bible verse your children will be learning on sticker paper or card stock. Cut them to fit the lid size and stick or glue them to the lid. 2. In class have your children decorate the lids with stickers or markers. Older children can draw a picture relating to the lesson on one side of the "Frisbee". 3. Have the children toss their Frisbees at a target, play catch, or just throw and run after them, repeating the Bible verse each time they throw them. 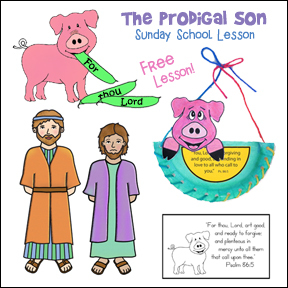 Children can take their Frisbees home and share the verse or story and play with the Frisbee with the family. 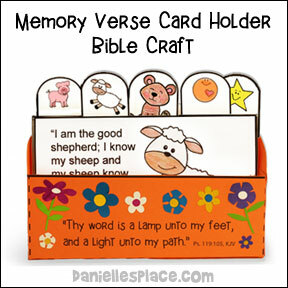 Here is a great way for your students to memorize Bible verses. This origami cross can be folded over and over changing shapes and showing a different part of the Bible verse each time. Your children will find that it is hard to stop using them once they start. 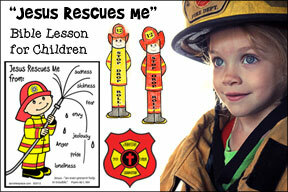 Memory Cross offers Bible verses that go along with many of the most popular Vacation Bible School programs. They also have one for the plan of salvation, which would be a great witnessing tool. They also have many other Bible verse packages you can pick from. If they don't have what you want, you can custom order them. Or you can order blank ones and have your children make their own. (See the pictures below.) 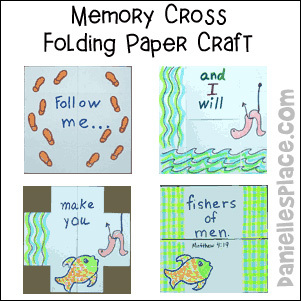 Go to Memory Cross to order yours today! 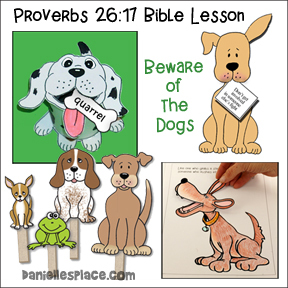 I used a daily Bible reading theme by using a dog (similar to the one on your "Beware of the Dogs" lesson.) holding a Bible. I called it "Get Your Paws on the Good Book." Each child got a weekly "doggie bag"(a brown paper bag) with seven dog bones (copied onto tan construction paper) with a daily Bible verse and a question about the reading. 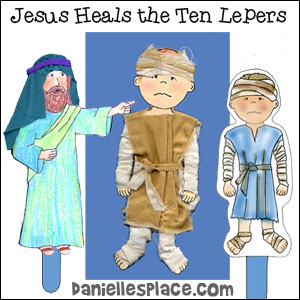 (Older Children) Play like hangman but use only the books of the Bible. (Younger Children) Before class hide the books of the Bible written on sheets of paper around the room. (Tape them under chairs and tables, hang them from the ceiling with thread, etc.) On the word go have the children look for the books. When they have all been found have the children work on putting them in order. 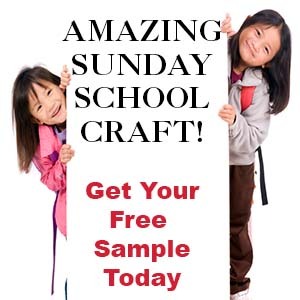 (Any age) Make two cards each for each book of the Bible you are studying. Turn the cards over and have the children take turns turning two cards over to see if they match. If they match, the child gets to keep the cards. If not, the child turns the cards back over and the next child takes a turn. (Any age) You can also make up a memory game. Write some of the books of the Bible on cards, start with three or four books. Turn over the cards and have the children take turns turning them over. They must first look for the first book in your series. If you are using Genesis, Exodus, Leviticus, Num. and Deut, they must first find Genesis. If a child finds Genesis, he takes another turn and tries to find Exodus. If he finds Exodus, he can take another turn and try to find Leviticus. He keeps turning over cards until he gets one out of order. He must then turn all the cards back over. Don’t mix up the cards. The other children should be watching carefully so they can remember where the cards are. Keep playing until a child can turn over all the cards in order. For younger children, to make it a little easier, color code the cards, make each card a different color and make a sample of all the cards in order so your children know what they are looking for. You can read the cards for them as they turn them over. They will be learning the books when they hear you saying them over and over.